When Monica, the dyer behind Yarn Experiments, reached out to me to offer me yarn support for a future design, I wanted to do more than just take her kind offer. I wanted to be sure I could create something that really featured her work, that highlighted its beauty. I pitched her a complicated cardigan with lapels and a bizarre set of increases around the shoulders, but when the yarn was on the needles, it became obvious my idea was all wrong. The subtle, wearable speckles and the decidedly feminine grey-blue of the base were itching to be something else. Something easy to wear, but with an element of grace. Casual, but not in a lounge-around-on-a-weekend way. I started playing with increases used in Estonian lace and was soon on my way. La Peregrina is a yoke sweater that features a slightly wider scoop neckline and a pretty lace pattern at the neck and shoulders which blends into a reverse stockinette ground with columns of knit stitches. The lace pattern is repeated at the sleeve cuff, and the hems are worked in 1x1 rib. This is an easy-to-intermediate pattern. The star increases and short rows may take some getting used to if they are unfamiliar, but are easy to learn and fun to work. Be sure to match gauge in garter stitch for the neck cast on and initial four rounds, which is significantly looser than the gauge for the rest of the garment. Choosing a Size:This sweater is designed to worn with 1-2” of ease in the fullest bust, which means it is meant to be worn just a bit larger than your actual measurements. Episode 4 of Fast & Loose, knitting podcast from Stephanie Earp. 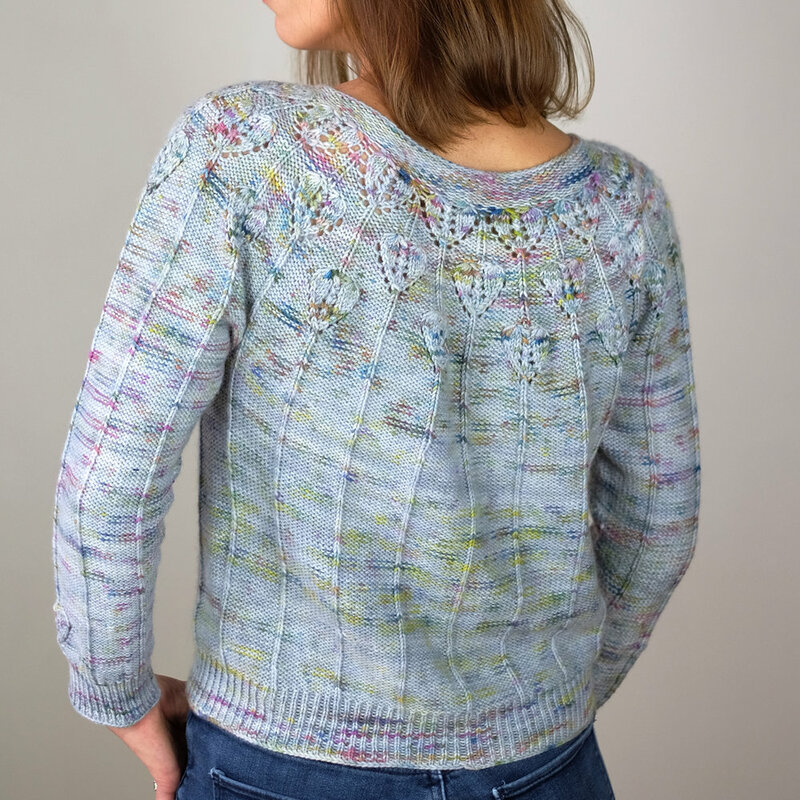 Features design notes on La Peregrina and Little Peregrina knitting patterns, ruminations on the improbability of achieving gauge, Cordova sweater by Michele Wang and progress on the Galore Sweater. Use short rows to change direction when knitting in the round. I created this tutorial for knitting my La Peregrina sweater which features a lace yoke followed by a reverse stockinette body. With this technique, you can knit the lace with the right side facing you, then switch to work the reverse stockinette as stockinette.